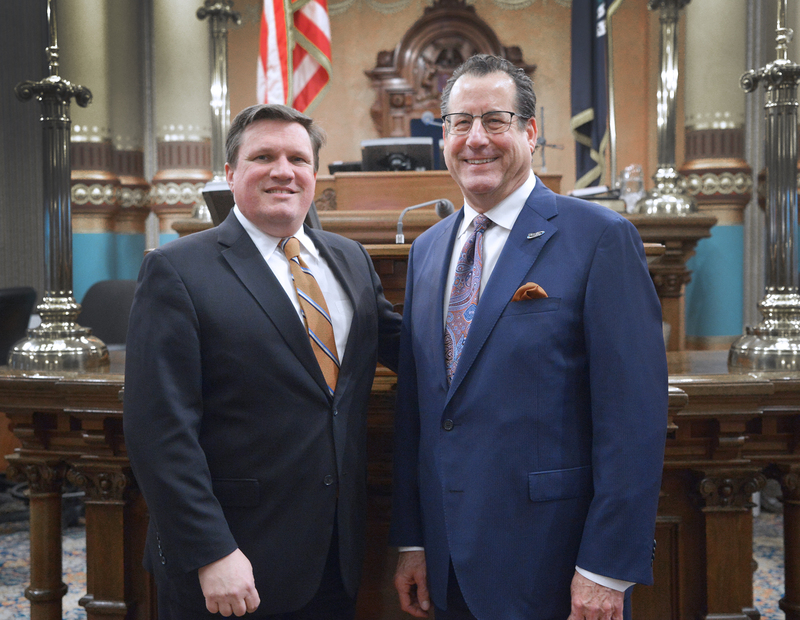 Lansing, Mich. — State Sen. Wayne Schmidt, R-Traverse City, welcomed Russ Knopp to the Michigan Capitol for Gov. Rick Snyder’s 2018 State of the State address. Knopp (right), owns Comfort Keepers in Traverse City with his wife Leslie and serves as chairman of the Small Business Association of Michigan board of directors. Editor’s note: A print-quality version of this photograph is available by clicking on the image or by visiting SenatorWayneSchmidt.com/photowire.